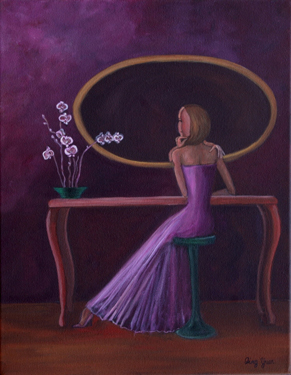 In this painting, the girl is looking at herself in the mirror, her reflection reaches out and touches her shoulder. I believe it is as important for adults as it is for youths. we can live out our dreams and love others.